I took pictures in the dark, but they are not that bright. Way less intense then the compact fluorescent I was using. 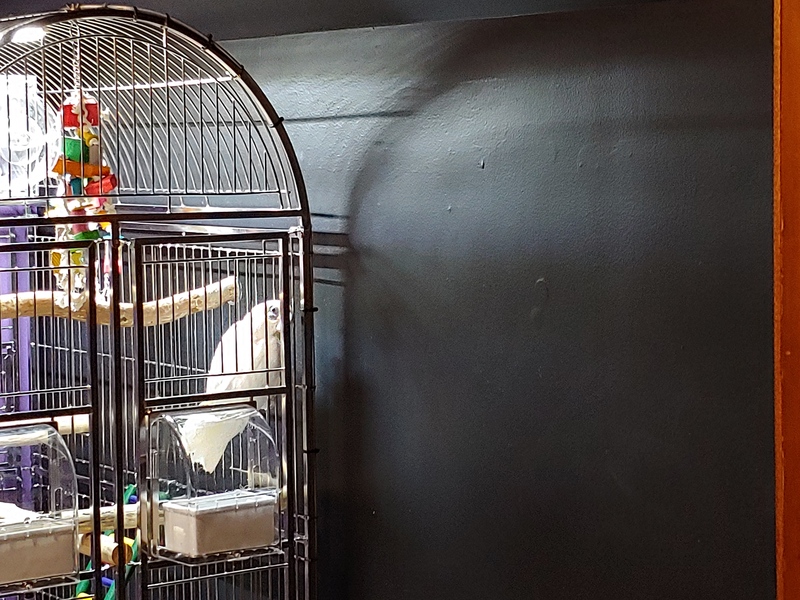 My birds hated the compact fluorescent even at 24 inches away as Frankie would sit on lower perch if I put lamp near his cage, so really never did and my umbrellas won't go near it. That was with the FeatherBrite and zoo med bulbs. The LED's fixtures evenly light the cage way better and notice the light don't bother them at all the cockatiels play right near it and Frankie back on his top perch again with no care about the light. 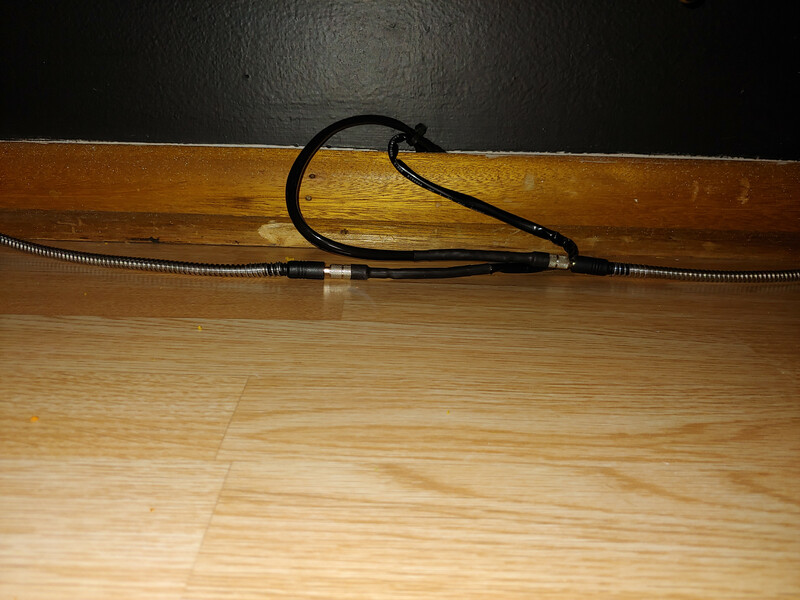 Only issues I notice is Frankie already trying to play with the cable and pull it in cage, so had to reroute cable, but he smart and now just tries to grab it. Is the light inside the cage or outside? Either way, it's way to close even if it's outside. Levi would grab & bite that light in a heartbeat. 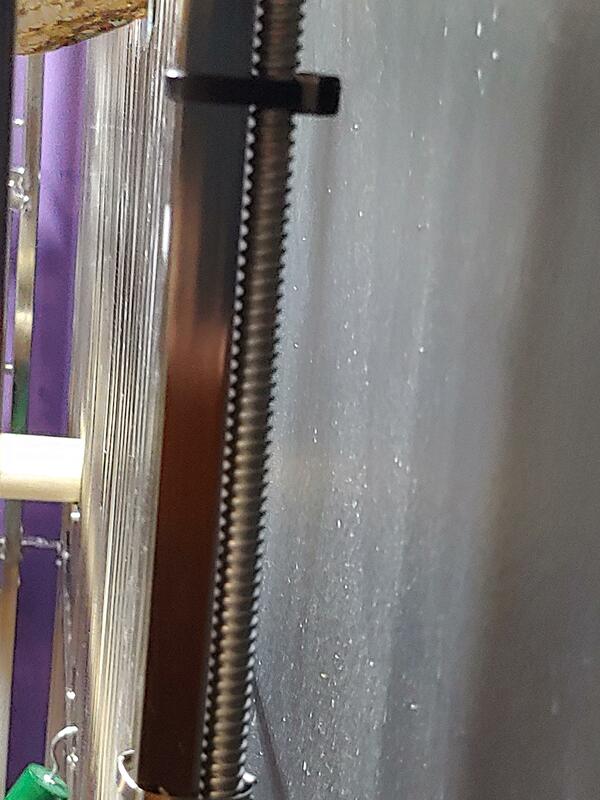 It is inside a aluminum housing with stainless metal grate over the light strip to keep them from destroying it. Plus cable is in a stainless sleeve tubing, not sure how well it will hold up with a cockatoo? With Cockatiels it fine. Not sure how it going to hold up with frankie with a little corella cockatoo? 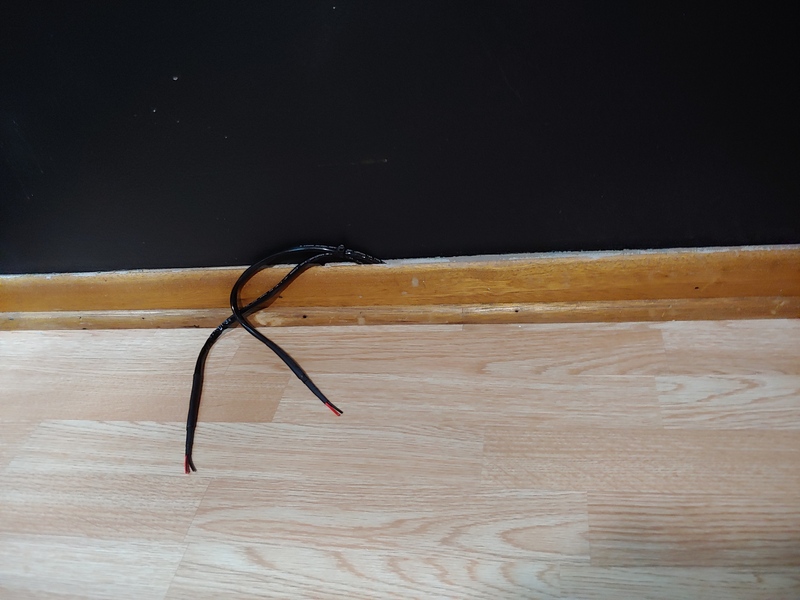 He did pull at the cable before I rerouted it as had it running down the middle. No damage to it, so don't think he can chew through it, but did hide it along the frame this time, so he can't see it, but he did try to grab it and pull it in already? It put out no UVB so no danger to them and brightness is spread out way better then the old compact fluorescent have it about 12 inches from bird sitting on top perch and with Frankie not directly over perch. Did put my head in and tested to see if saw spots where he would be usually sitting and didn't see none after a minute. Last edited by ParrotGenie; 03-30-2019 at 10:53 PM. 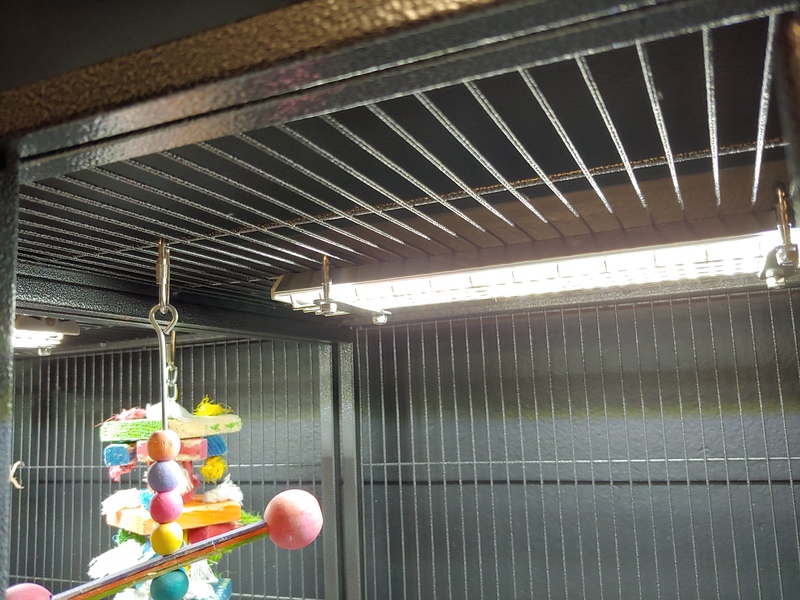 Finish moving all perches down, so when bird on top perch birds head is at least 12 inches away from light on all cages now. Moved perches down a little. 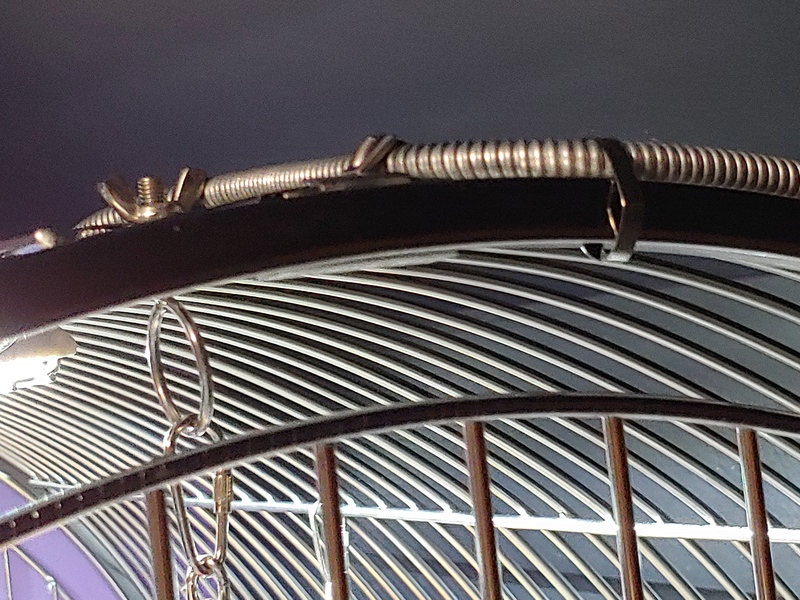 Sleeved the wiring with metal mesh on the inside and PVC sleeving on the outside, even through it outside the cage and birds can't get to it and added inline fuse. Birds are not allow by that wall as by corner, so not a issue. 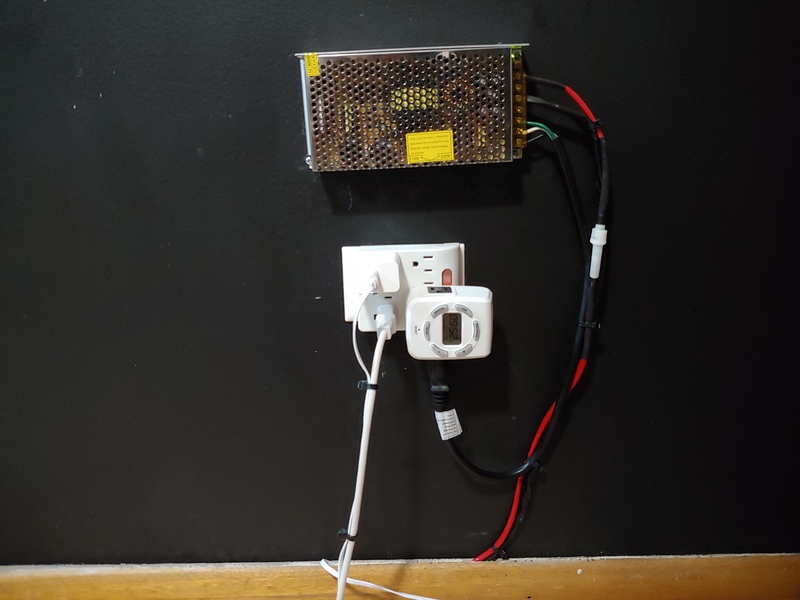 Will be powering all lights for all the cages is a 15 amps power supply, so more then enough and beats having 4 to 5 adapters with extensions cords everywhere, where birds can get to it and having few timers. This way it on one timer, wiring hidden and on 12 volts instead. 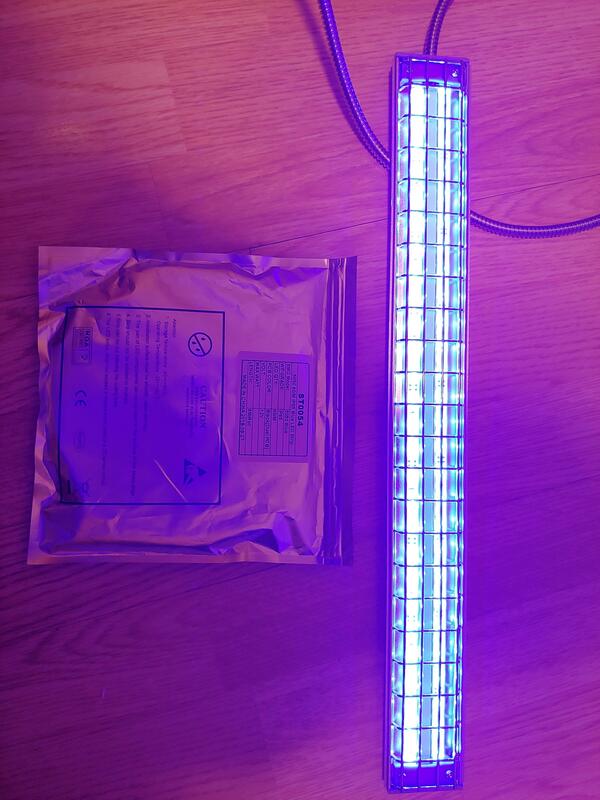 Lights have flexible stainless steel covering the wire down to the floor to keep them from chewing it. Still waiting on the DC plugs to show up. Last edited by ParrotGenie; 03-31-2019 at 10:41 PM. Will be getting this controller. 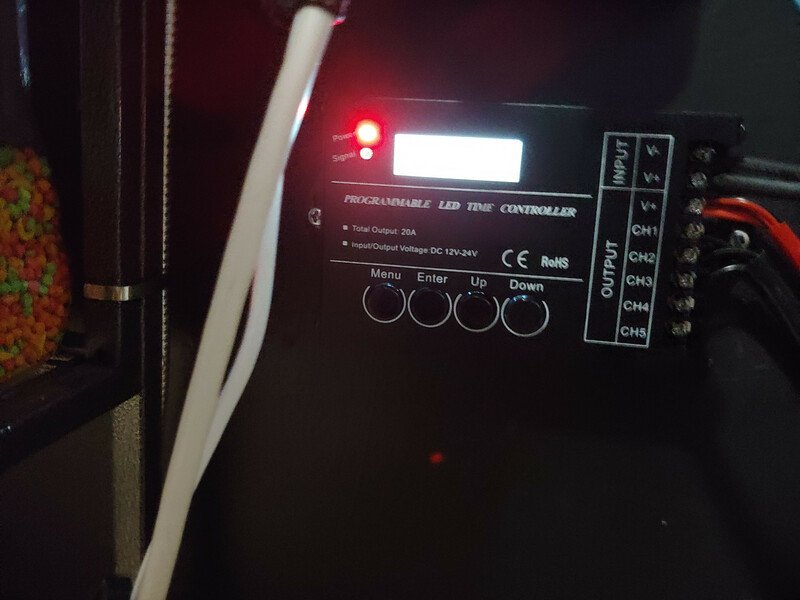 Did finish installing lights in breeder cages as well and did install the DC connectors as they came in yesterday. 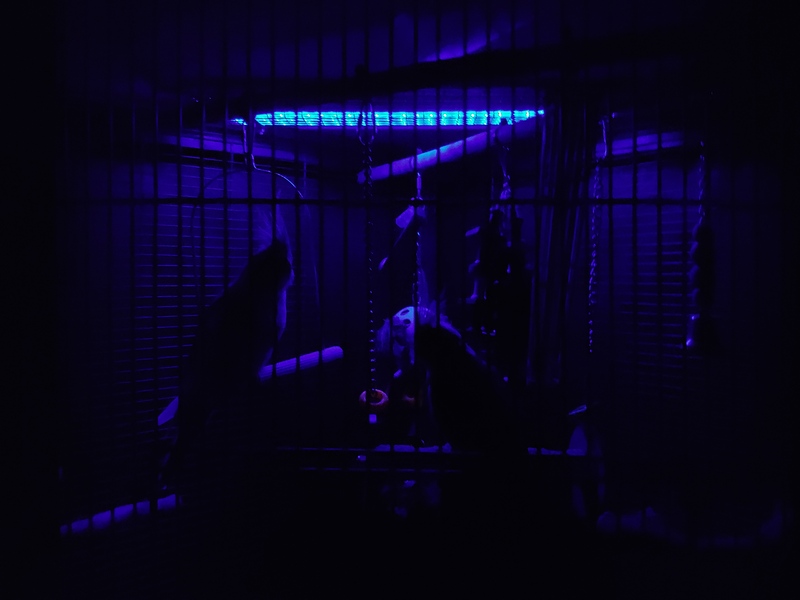 Next will be having custom night blue lights built and will be installing them in Cockatiels cages. As I have a cockatiel that gets night fright. Also all lights will be going on a controller soon, so can get sun up and down effects and night light turn on when day time lights switch off. Set channels individually, so can switch on lights at different times on different cage for light cycle as needed, or turn off a light. Last edited by ParrotGenie; 04-06-2019 at 09:26 PM. Finally received the controller and programmed it. Sp now can dim for sunrise and sunset and have different light cycles. 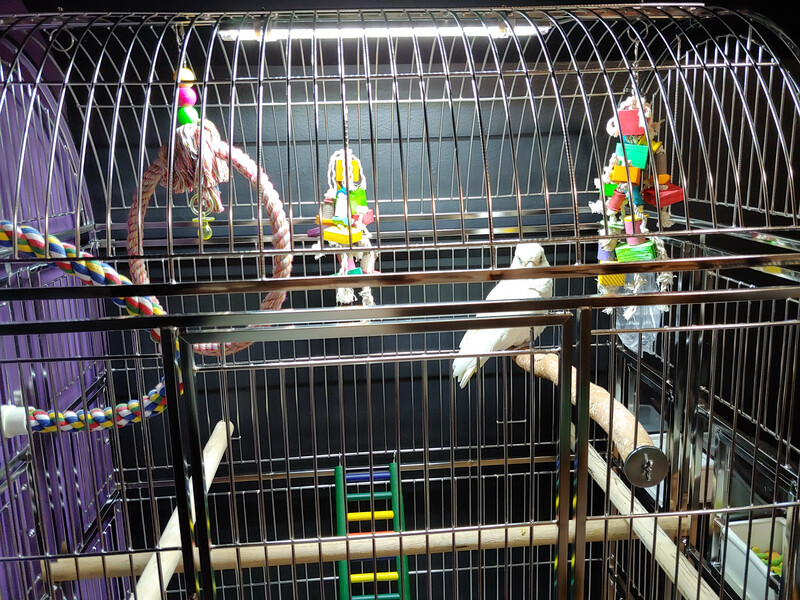 Will also be added a custom night light in my bigger Cockatiel cage as Fiesco get night fright, if I don't leave a little light on, will be on control and turn on at night only. Installed a custom made light in my cockatiel cage as Fiesco get night fright. 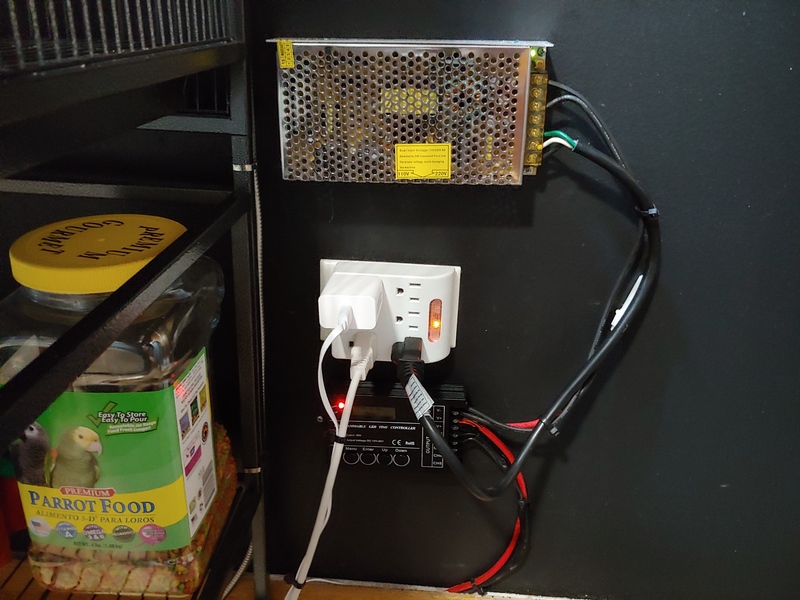 It now all on a RGB timer controller. So can dim without flicker and set main lights to do sun up and sun down and fade and to turn on and off night light. Really nice controller for what it does.